Stevie Nicks apologized for her rant against Nicki Minaj, after saying she "would have killed her" for her outburst on "American Idol." Nicks apologized for her remarks on Tuesday, saying she "thinks all artists should be respectful toward one another." 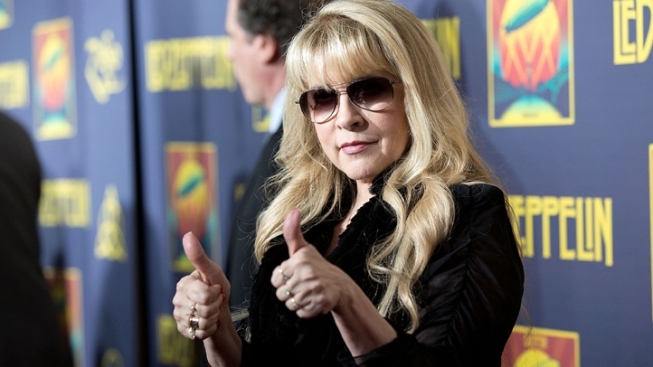 Stevie Nicks is in apology mode after saying that Mariah Carey should have "strangled" Nicki Minaj. After reports that Minaj threatened fellow "American Idol" judge Carey last week on the set of the Fox singing competition, the Fleetwood Mac frontwoman waded into the fray Tuesday in Carey’s defense. According to TMZ, Minaj unleashed a string of profanities and threats against Carey on the set of “American Idol” last Tuesday in Charlotte. Barbara Walters said on "The View" that Carey told her she was concerned because several people heard Minaj say "If I had a gun, I would shoot the b****" as she walked off the set. Minaj denied the threat on Twitter, saying "no camera or mic heard the comment." In any case, "American Idol" executive producer Nigel Lythgoe told THR that the show is equipped to handle the diva drama. Unfortunately your browser does not support IFrames.